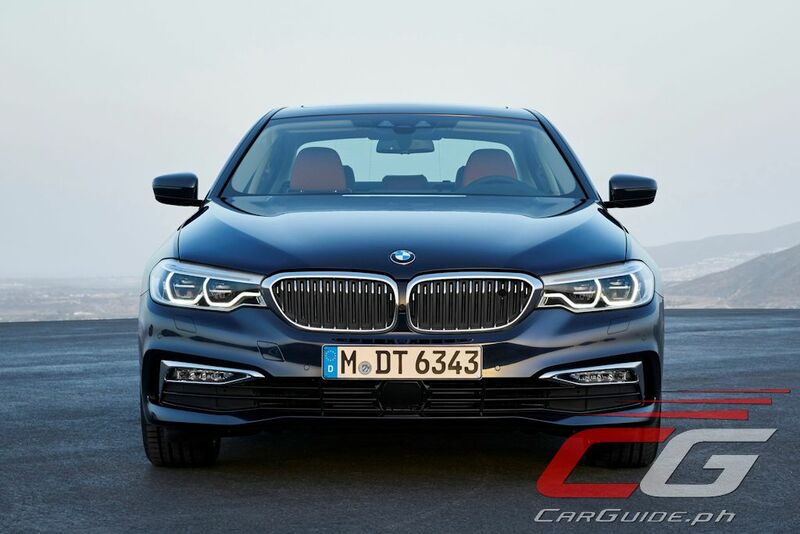 Often considered the “right-sized BMW”, the 2017 5 Series features sporty elegance at the highest level. 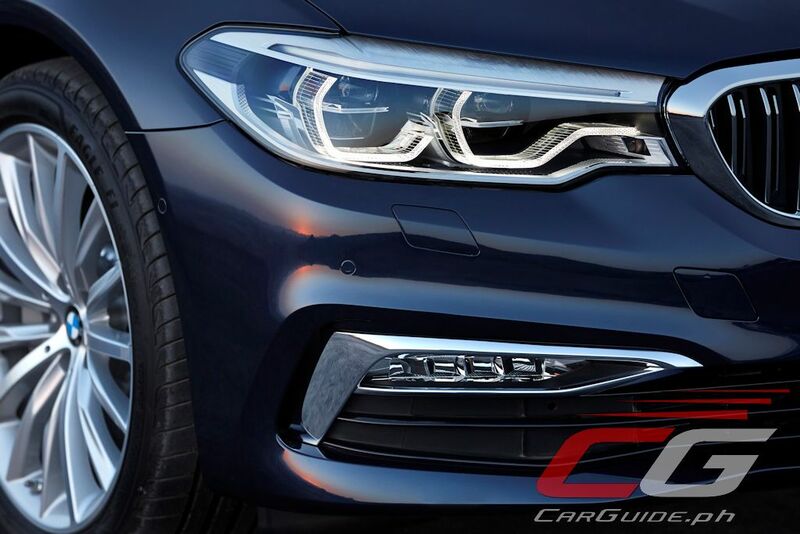 Taking on a more characterful approach to its design, the G30 features a seemingly merged front end that broadens its appearance. The hood blends with the trademark Kidney Grille (now equipped with aerodynamic shutters) and that too blends with the headlights (now with active LED technology). 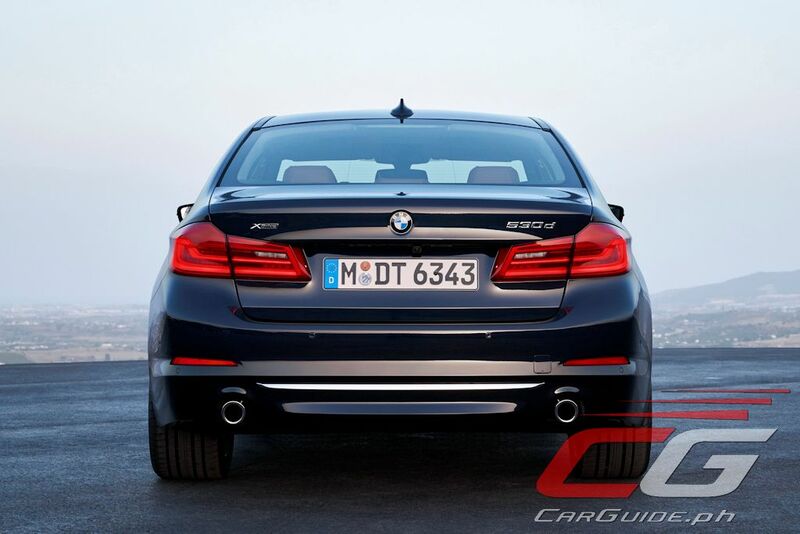 Meanwhile, the character lines on the side turns up as they head rearward, capped off by the Hofmeister Kink—another signature design element of BMWs. Finally, at the back, the tailpipes are now symmetrically arranged on either side allowing for a more balanced aesthetic. 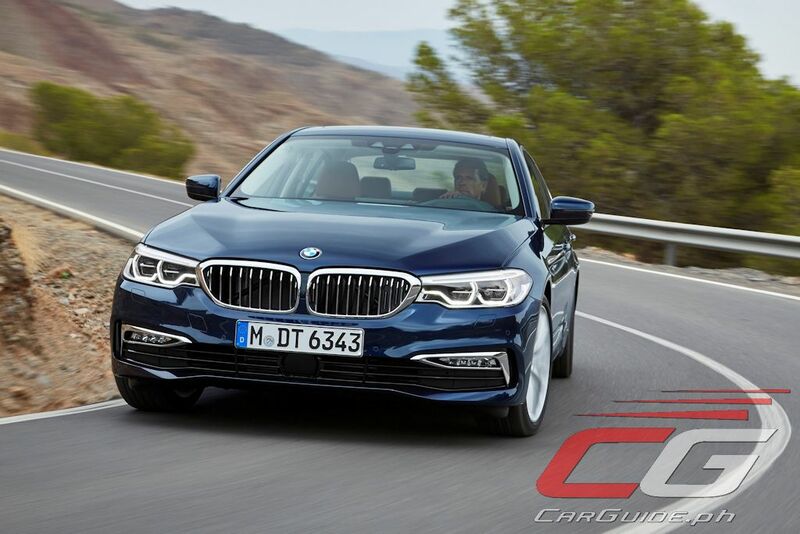 Inside, BMW has paid careful attention ensuring that the all-new 5 Series is a sensorial delight. 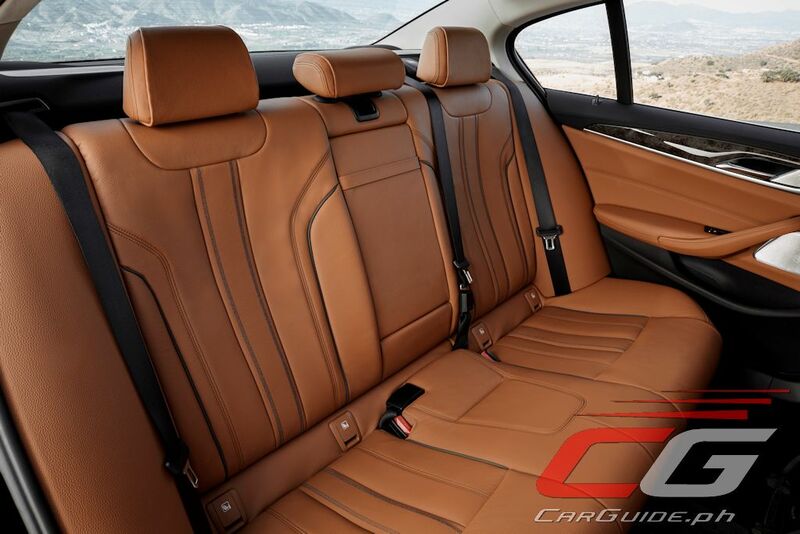 The quality of the interior has been upped compared to its predecessor including the use of Leather Dakota as standard (no more man-made leather this time) while the range-topping 530d gets Leather Nappa. The various trim pieces and inlays are laser cut ensuring perfect fit-and-finish and are covered in either wood or aluminum depending on the line. The perfect driving mood is also achieved by the standard lighting package that offers 11 different designs. Apart from being appealing to the sense of sight and touch, the 5 Series appeals also to the sense of smell with its Ambient Air Package that offers 8 fragrances divided into 4 categories. Standard on all 5 Series models, the Ambient Air Package also delivers an air ionizing function as well. The 5 Series’ advancements in convenience technology go beyond the key and the air quality system. 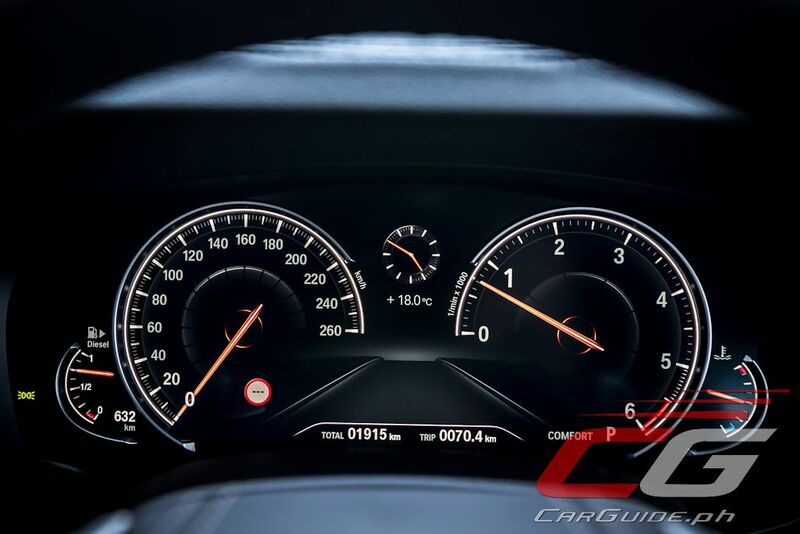 Standard on all models is a full digital instrument cluster. The 12.3-inch display has various colors and themes highlighting different information relevant to the drive mode selected (Sport, Comfort, or ECO PRO). 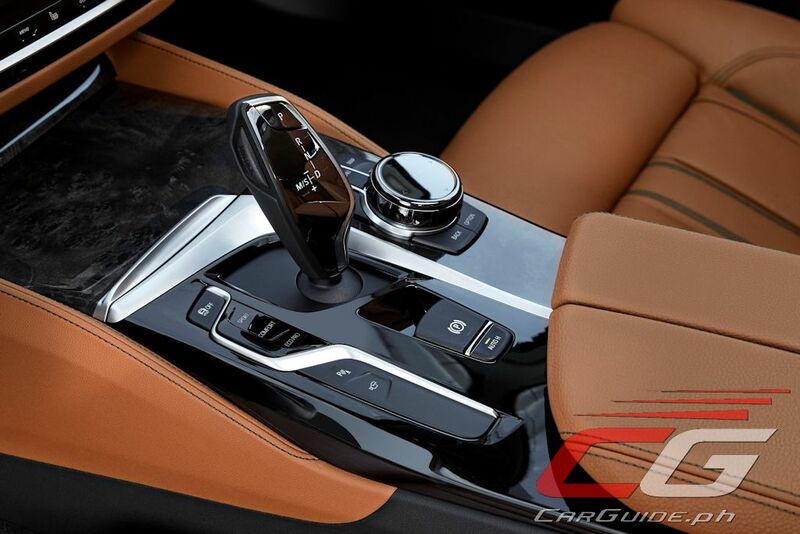 Meanwhile, the infotainment system features the latest version of iDrive. Featuring Interface Design (ID) 6, it’s considered to be the industry’s most intuitive automotive user interface system. 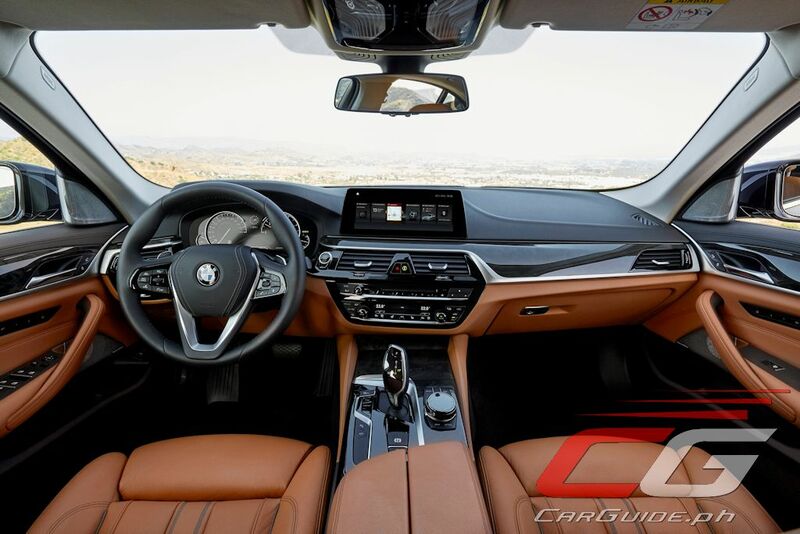 For all 5 Series models, it comes with a 10.25-inch LED touch display with built-in navigation. 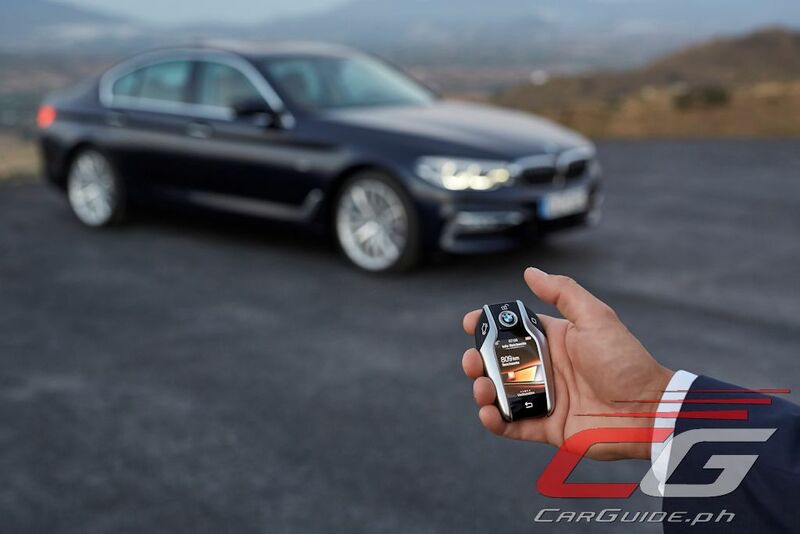 Further enhancing the iDrive system is BMW Gesture Control which allows the driver to do several commands simply via gestures; no need to fumble for buttons. 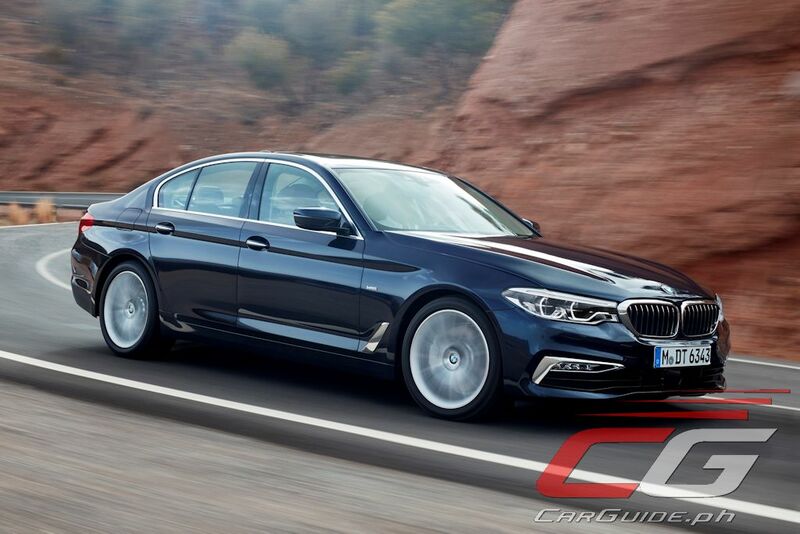 Dubbed the “Business Athlete”, the 2017 BMW 5 Series is once again setting the benchmark with its performance and handling. 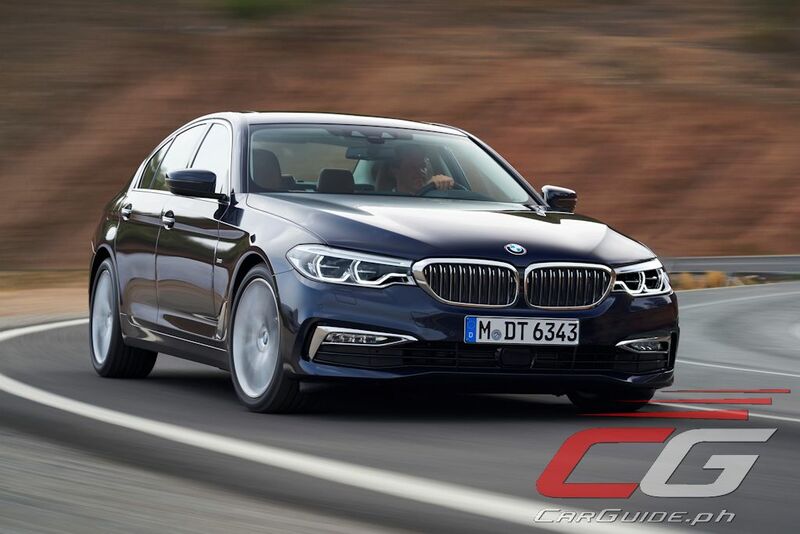 Using EfficientLightweight technology, this 5 Series is up to 100 kilograms lighter than before with everything from the doors to the suspension components all tuned and specified for this very purpose. It extensively uses aluminum and high-strength steel ensuring sharp and agile behavior. 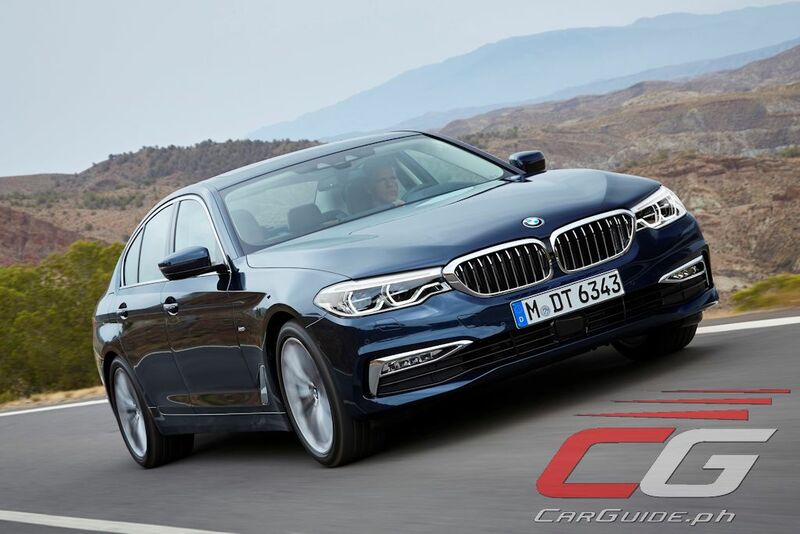 For the Philippine market, the BMW 5 Series starts with the 520d fitted with a 2.0-liter diesel engine with TwinPower Turbo. Generating 190 horsepower and 400 Nm of torque, it can achieve the century mark from a standstill in just 7.5 seconds. 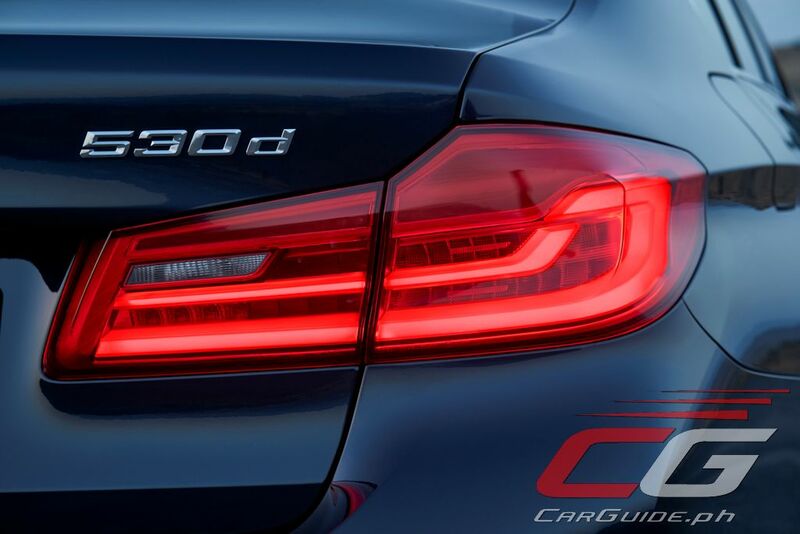 The 530d meanwhile, with its 3.0-liter inline-6 also with TwinPower Turbo does 265 horsepower and 620 Nm of torque, enough to obliterate the 100 km/h in a sportscar-like 5.7 seconds. All engines are mated to an 8-speed automatic. 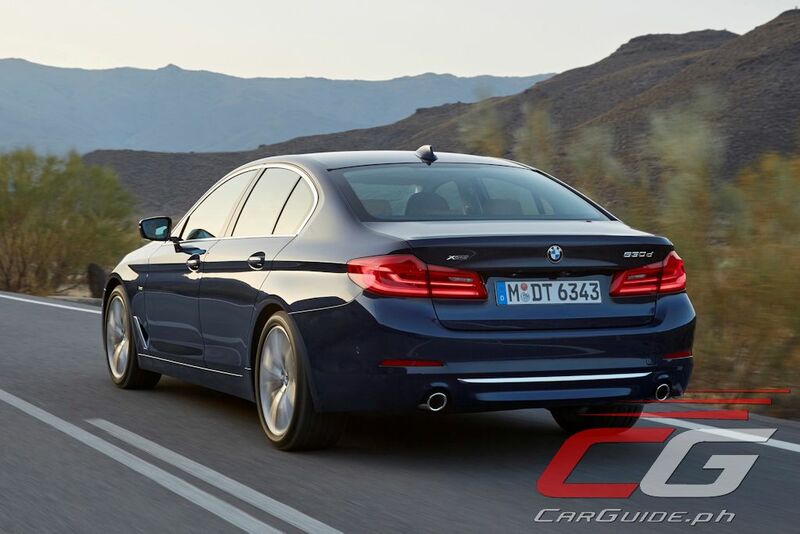 The BMW 520d is in Luxury trim (P 4,590,000) and M Sport Package (P 4,990,000). The difference lies in the exterior and interior trims. 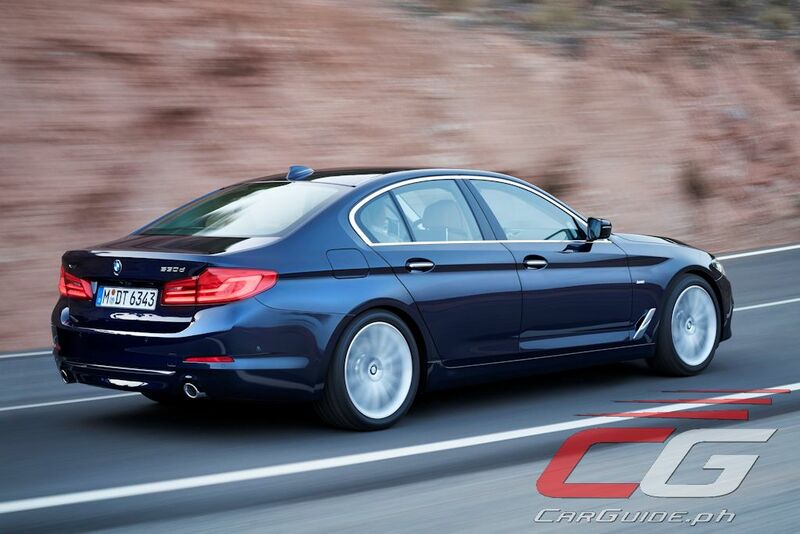 The BMW 520d Luxury is fitted with chrome trimmings, 18-inch wheels, and rear passenger roller sun blinds. 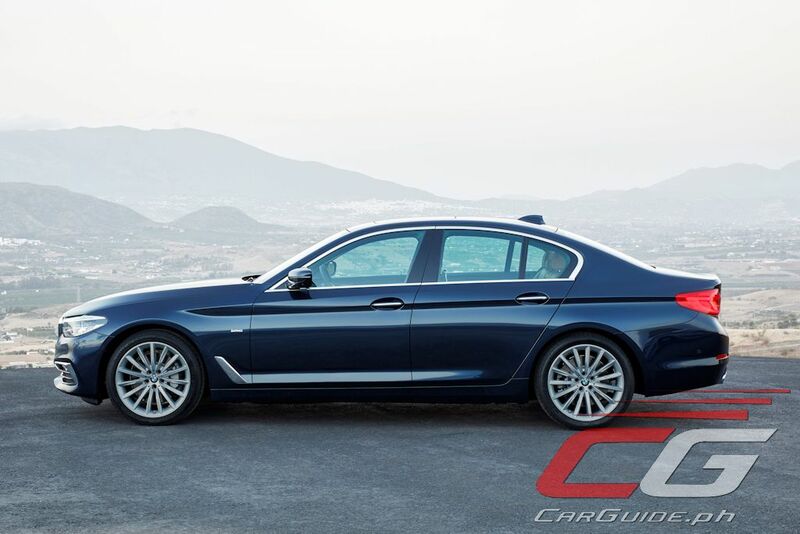 The M Sport variant, on the other hand, features a sportier body design, 19-inch alloy wheels, a BMW Head-Up display that projects the driver information on the windshield, and gearshift paddles on the steering wheel. 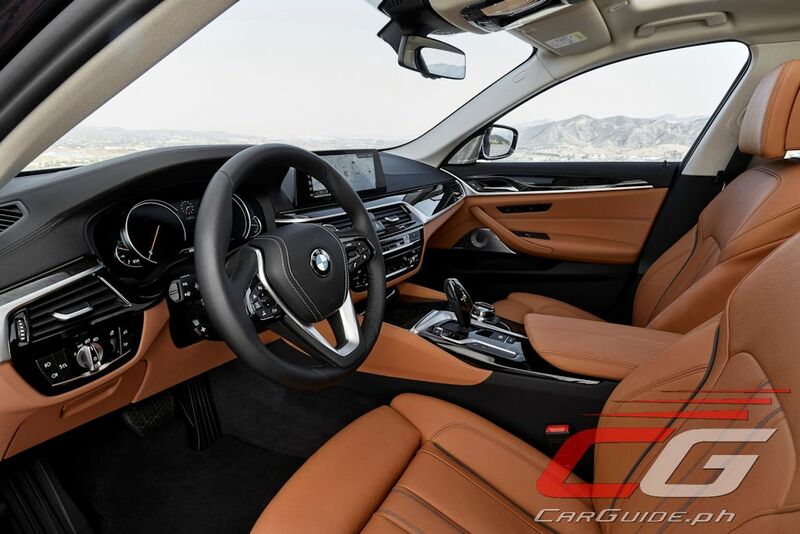 The top-of-the-line BMW 530d in Luxury trim (P 6,390,000) comes with the top-grade Leather Nappa upholstery for the interior, 20-inch BMW Individual wheels, soft-close function for the doors, and the BMW Remote Control Parking with which the driver can park the car while he is outside the vehicle by just using the display key.